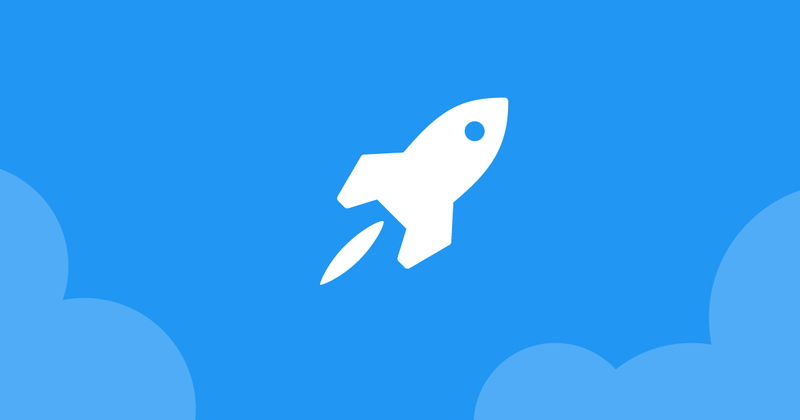 Running a contest is a great way for increasing user engagement. Giveaways and contests are an effective marketing channel to help grow your business, generate more leads and increase sales. In order to maximize the success and participation of the promotion it is vital to take the steps in promoting the giveaway to reach the largest number of potential entrants that you can. When I first started to promote giveaways and contests, I thought I would post them and people would immediately rush over to enter! Wrong. Most of the time, that is not the case. Many businesses think that by giving away anything for free they will automatically get a flood of new visitors, email subscribers, Facebook likes and sales. Unfortunately, without a clearly defined goal and a solid marketing plan, this is hardly ever the result. From a single promotion you can get more email subscribers, new customers, a boost in sales, an increase in followers on platforms like Facebook, Twitter, YouTube, Instagram and Pinterest, and greater brand exposure and awareness. The promotional techniques here brought real, measurable results, are easy to implement and can be repeated for each of your giveaways and contests. Ask users on social media what they want as a prize. You can have two or three prizes for suggestions and let your audience decide what they want to win. On Facebook you can use the new Facebook reactions emoticons to let users voting for the best prize using the actions “Like”, “Love”, “Wow” etc. Alternative if you own a Facebook group or if you a member of anyone related to your field you can create an “Ask a question” post. One more idea is to create a quick poll using a form on your website and ask users to choose the prize. Letting your audience choose the competition prize is like you run a mini competition. Doing this tip you can get more engagement on social media before the contest start. If you want to double your results or to make a good start, one of the best ways is to partner with other companies that are looking to run a contest or that run regular contests. Partnering with another company on your giveaway is a great way to offer more prizes and get more exposure. Reach out to businesses that are related to your niche but are not your direct competitors, and see if they would be interested in offering up one of their products as a prize in your giveaway. If they agree, you now have another company that will aid in marketing the giveaway! It’s a win/win situation. A great way to drive a ton of traffic to your sweepstakes is by submitting to giveaways and sweepstakes directories that will link directly to your promotion. If you want a lot of traffic to your giveaways and contests, you need to post them on several different sites and blogs in order to get the word out. A lot of websites, blogs and forums host product giveaways and various types of contests. It’s fun to do and can bring you a great deal of traffic too. If your goal is to get as much exposure as possible, submitting to these sites is one of your best bets! We have created a dedicated post where you’ll find the best websites, blogs and forums online to promote your giveaway for free. Write a post on your Facebook timeline promoting your giveaway. Include an image of the prize that will grab people’s attention, write a short description letting people know what they can win and pin it to the top. On the same post you can ask people to take an action to maximize the exposure. You can ask for example to leave a comment about the giveaway or prize, to like the post, tag a friend or share it with their friends. Finally, link directly to the giveaway. Don’t forget to use related hashtags like #giveaway, #sweepstakes, #contest, #competition, #win etc. Share the giveaway on Facebook groups where the topic is related to your giveaway. Each Facebook group has their own rules about promotion and advertising stuffs so keep that in mind before posting. Change your Facebook cover image to advertise your contest. Reach your friends and family on Facebook and get them to share your giveaway, these people will help you expand your reach immediately. We recommend creating at least 5 variations of your Tweet to schedule over the contest period. Don’t be afraid of Tweeting multiple times per day, as many of your followers won’t see the Tweet if they follow lots of other users. Also don’t forget to make use of hashtags. 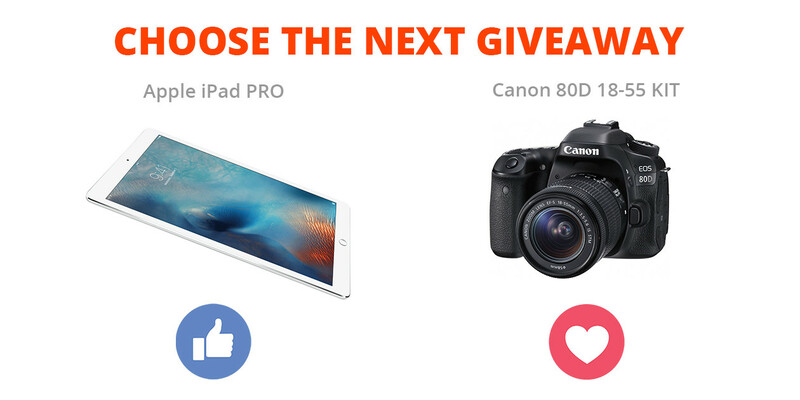 Instagram is all about images, so create an attractive image to promote your giveaway. The links are not clikable but you can include it as plain text. Maybe some users copy-paste it on their browser. Also use a shorten URL service to make it as short as possible. Again, make a good use of hashtags. Share your giveaway on Pinterest and make sure to include a link on the description. Links on Pinterest are clickable so more users get send through to your contest. Share the giveaway on your personal profile or on your company profile. Like on Facebook you can also find groups to join on Linkedin and share your giveaway. Be careful when posting into these communities. Read the rules first and see if it’s allowed. Learn more about Linkedin groups. With the power of smartphones, creating a video these days is no longer a daunting task. Create a video and upload it to your channel on YouTube. A good starting point would be to create a quick tutorial on how to enter the giveaway or a short video clip showing people the prizes they can win. In the description include the link to your giveaway. Also there are some amazingly popular YouTube channels that may be the perfect partner to help promote your giveaway. Search for channels in your niche that have a good amount of subscribers. Don’t forget to share the video on other social media like Facebook, Twitter etc. to maximize exposure. Send out an email to your list announcing your sweepstakes and provide a direct link to the page for people to enter. An email newsletter is one of the best way to announce your contest, especially if you have an engaged list. Although these people are already on your list, you’ll still want to promote to them because when they enter, they’ll end up sharing the giveaway with their friends and family. On the day of the giveaway launch you should be sending an announcement email with a strong call to action to your newsletter list. Not everyone will remember or have the time to enter from the first email, so consider to send out reminders during the contest. Reaching new people. During your campaign exclude those from targeting, who have already entered any of your promotions before, so that they won’t be poked by your ad again. Re-targeting previous campaign participants. They know your contest already and can stimulate initial traffic to the promotion, by entering and inviting their friends. Addressing influencers. Aim to reach those, who have been your earlier advocates to kick-off your next contest or sweepstakes on a solid footing. A great way to get people to enter your sweepstakes is to toss a little card or flyer inside of every package telling them to enter the promotion. Create a check-in contest to bring more people in your physical store. Promote the contest on local events and communities where you participate. Also if you occasionally organize events create a banner or say some words about your giveaway. A good idea is to make use of QR codes. If you host your contest on a Facebook page, on a landing page or on a partner’s website write a post to announce the contest. A blog post can generate excitement in your contest, give a backstory on why you’ve created this contest, and provide different reasons for why someone should join. Having a strong call to action that should link to the competition is a must. Bloggers are constantly looking for great content to share with their audience. Compile a list of 10 or 20 bloggers in your niche, and reach out to each of them with a personalized email about the sweepstakes you’re launching, and how you think it would be a great fit for their audience if they would be willing to promote it for you. Create a banner or a slide (if you use a slider) on homepage to announce the giveaway or contest. Use Popups. I recommend an exit intent pop-up for your contest, so you stop your visitors from leaving with a dazzling prize. Use a top bar to grab users attention. Add a banner or a link in the footer of your website. Footer is a good place because most of the times is accessible from every page. Get people excited about your contest. Explain what’s unique about it, and why you’re running it. Perhaps you’re giving away an amazing grand prize, or you’re gifting everyone who enters with a special discount code. If you need help creating a press release check out The 6 Essential Steps to Writing a Killer Press Release on Copyblogger. Be careful when posting into these communities. Read the rules first and see if it’s allowed. If it’s not allowed then contact the moderator of the group and see if you can workout a deal. They just want to keep spammers out and will be open to hearing what you have to say. Bookmark this post! I know that is hard to remember all these tips so save the post and follow these tips every time you run sweepstakes and contests. You can also share it with your giveaway’s partner. You must promote your giveaway or contest often and on all available platforms if you want it to really have an impact. Carve out a spot on your website, post giveaway details in your newsletter, and regularly spread the word on your social networks. Be sure to change your phrasing and timing on the social networks and track the response rate when you make those changes. You might find that more people are willing to participate in the evening when “distraction time” is available and they’re winding down for the day. Like any marketing activity that exists, contests can always been improved – there’s unlimited ideas that you can try and Woorise can make it easy for you to start running successful giveaways. The only limit here is your imagination. Do you have more ideas and tips on how to promote giveaways, contests and competitions efficiently? I would love to share with us in the comments below. Thanks for your post. Your tips will help me greatly in our business. Regards and more power.